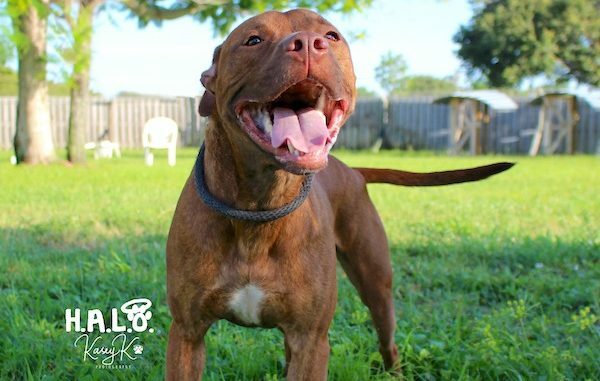 Toffee lives at the Halo No-Kill Rescue Shelter in Sebastian, Florida. For the past 211 days, since February of 2017, Toffee has been in this shelter. He is super friendly and has the sweetest personality. However, he will do best in a home with no pets. “You could be the one to help me find my home for the holiday,” said Toffee. The Adoption Fee is sponsored, so he only requires a $25 non-refundable deposit with the application. 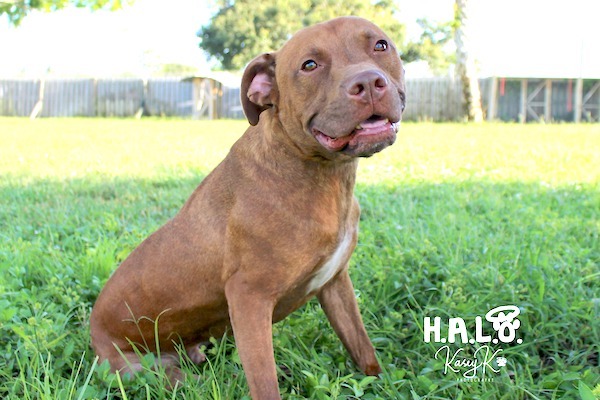 Prior to living at the Halo No-Kill Rescue Shelter Toffee was at a shelter in Brevard County with a broken leg. Sadly, he was on their euthanasia list. Since he was so young and had to have minimal movement due to my injury, he never learned how to control his energy around people. So when he would meet new people, he would get so excited and want all of the attention. He has been adopted a couple of times, but sadly he was returned for his lack of obedience, and his inability to get along with cats. Luckily, the Halo staff and volunteers have been working very hard with Toffee, and he is learning how to control himself. He even learned some neat tricks along the way. If you are looking for a companion that will love you for eternity, Toffee is your guy. Or you may know someone who would be perfect for him.